One day, all of a sudden, the world came crashing down. It wasn’t a great disaster. Neither was it a heart-wrenching calamity. It was simply a sinking feeling in the pit of my stomach as I sat and typed out a completely mundane story about luxury retail. Luxury retail. The men in their crisp suits. Salt and pepper hair. The disarmingly charming smiles. The aura of immense success. And of course, the odd Audi or Merc. Not even a month spent here, down South and I have learnt the art of fake smiles, corporate dressing and diplomatic speech fluently. 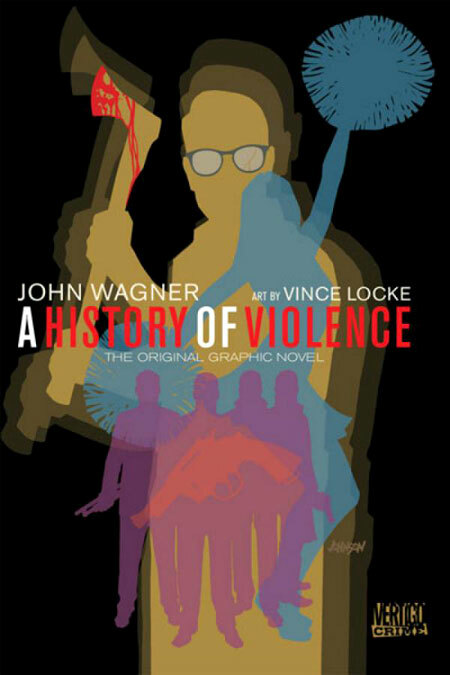 A History of Violence book cover. Armed with almost no knowledge about business or politics in Karnataka, I set out to achieve the impossible. The thought of life away from home, a city that had become overbearing and suffocating, and times that had stuck to me almost painfully, was positively alluring. So I ran. 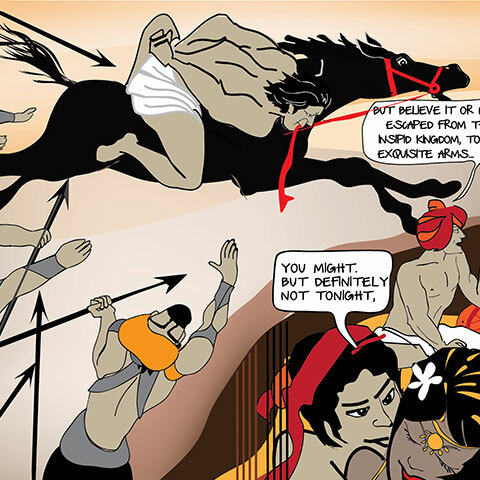 The first excuse, the slightest hint of a promise and a half-baked reason all pointed towards the South! Of course, insecurity, sadness, anger, distinct feelings of failure have been my constant companion over the past month. But like they say, “Nobody ever quits.” Nobody with half a working ego that is. Inspired by the 1955 episode of Suspense titled Nobody Ever Quits, A History of Violence, ladies and gentlemen is what you all shall be enlightened about today. About one man. His overbearing past; his attempts to run; friends; families; enemies and gangsters. The countryside drama evolves as Tom McKenna saves his diner from two robbers who, needless to say, don’t have the best of intentions. Following his heroic deliverance of justice to the two evil-doers, McKenna becomes a celebrity overnight. But with such fame, comes the fair share of trouble. Recognised by some acquaintances from the past, Tom is clearly shaken up when a gangster from New York, Johnny Torrino, driven by the need to avenge his missing eye, shows up at River Bend, Michigan! What follows is a journey in its true sense. As a man tries to protect himself and more importantly, his family and the comforts that he knew nothing of when he was a child; a plot that cleverly weaves in emotions as the narration digresses from the usual fare of bloodthirsty violence. Instances, where we are exposed to the confused teenager McKenna, tempt us to reach out and pat him on the back reassuringly. Wagner and Locke know how to manipulate emotions on paper just as well as Cronenberg knows how to manipulate them on screen. Written by John Wagner of Judge Dredd fame and illustrated by Vince Locke of Sandman: Brief Lives fame, this novel tends to mislead if you are to judge it by it’s name. Just the mistake I had made. I had expected bloodshed, dismembered limbs, shadows, sinister villains lurking in those shadows, each new page spewing forth blood in a completely unique manner. Stories of crime, rage, violence, vengeance, hysteria, and madness, defining repulsion and nausea-inducing horror. Clearly, I was wrong. Tracing the life of one man, the novel is far more than just violence, the way we know it. Indeed, it is about violence, but in the form of self-protection. In the form of vengeance. In the form of desperation to keep bitter truths away from loved ones. In the form of the unrelenting past that unforgivingly catches up with McKenna as he eventually heads towards a breakdown. For those who are familiar with both Wagner’s and Locke’s styles, it will be a treat better than the blockbuster screen adaptation. Those who are not will possibly find the pages rather stark. Devoid of unnecessary detailing, the edgy sketches offer the reader just about enough information to keep him interested. The panels are neat and surprisingly, Locke makes instances of gore unrealistically aesthetic. The novel is not a creation of sheer brilliance or genius, but it is a bestseller. Back to reality. A brilliantly red-and-white cubicle and tonnes of pending work. A telephone kept off the hook and two more hours to kill before I get back to my game of Dragon Age: Origins. By ANJA · Ganga, borne aloft, wound her way towards her white marble temple where a million iridescent triangles danced wildly.